Olafur Eliasson is a Danish artist who is interested in the extent one may have an impact on their world. An essential aspect of his art is that it directly involves the viewer in a space that is traditionally not accessible to the viewer for participation. Popular mediums of Eliasson’s include light, mirrors, shadow, color, wind and fog. 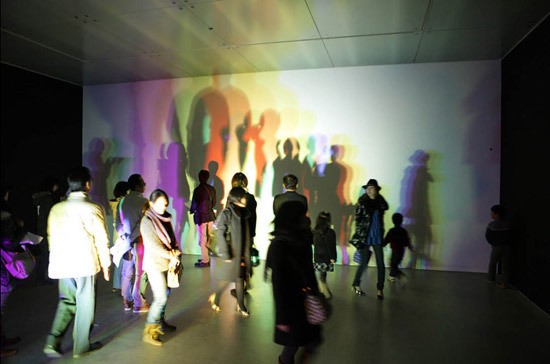 The following piece is titled ‘slow-motion shadow in colour’ 2009 and until 2 days ago, it was on show at the 21st century museum of contemporary art, kanazawa, japan.